When visiting Japan from abroad, style-conscious friends frequently ask to visit the “Brooklyn” of Tokyo, hoping to find a myriad of alternative clothing boutiques and stellar dining. I always have to resist the urge to tell them there is no Brooklyn, because there’s no Manhattan nearby. Instead Tokyo is a fascinating urban sprawl with no focal center. There are instead 23 wards being “modernized” by the large corporations that operate the train stations along lines intersecting and connecting the vastness of Tokyo. Every town, as Tokyoites like to call these wards, has its requisite Starbucks, Dean & Delucas and Body Shops offering Western delights and goods; Gap and Zara for clothing; multitudes of Mexican and pizza joints or British and Irish pubs for drinking. Although Kichijoji in western Tokyo has recently received a face-lift around the station area, it still retains the qualities that make it a perennial winner in the contest for the city’s most favored residential area. It still has a dynamic shotengai, or main shopping street, a yokocho drinking alley with a vibrant bar culture, jazz bars, traditional stores and recently a plethora of homegrown shops selling everything from one-off designer clothing to creative crêpes you’d never find in France. It looks far on a map, but it never fails to surprise me that the train ride to Kichijoji, which is on the western rim of Tokyo, takes a mere fourteen minutes from the more centrally located Shibuya station! My first stop after arriving in Kichijoji is always lunch at Rojiura Curry Samurai, located in the warren of small streets north of Kichijoji station. 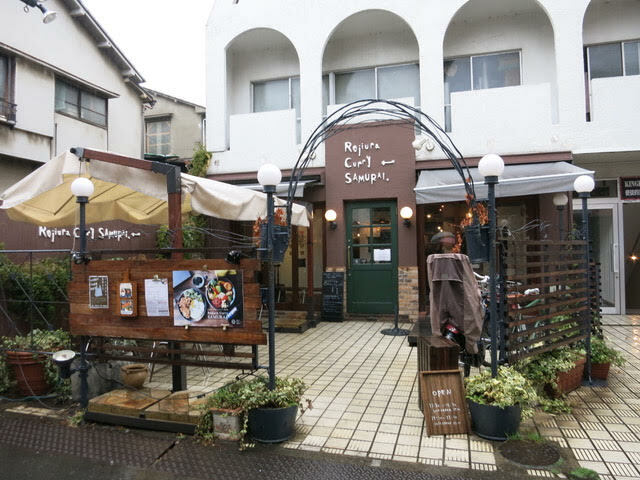 Rojiura Curry’s inviting exterior belies its name, which means back alley. 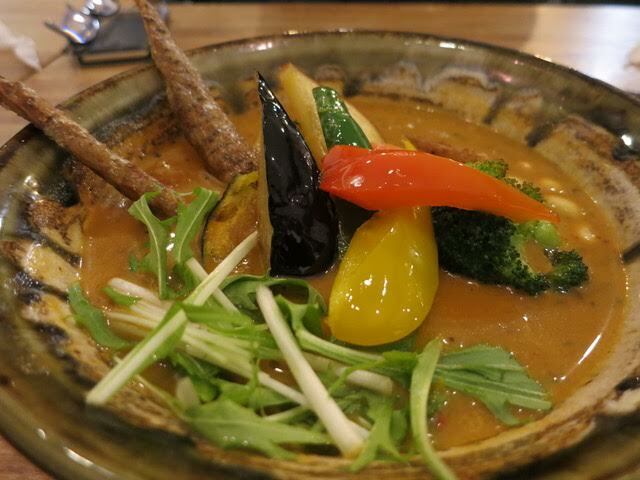 It’s a great place to go with friends because everyone can customize their curry rice to suit, even vegans. The choice begins with four kinds of base stock: regular Japanese curry roux, a milder version, soy milk and coconut milk. Next comes the spiciness with 11 levels to choose from. And lastly 16 kinds of ingredients as toppings, including an amazing array of Hokkaido-sourced vegetables. I usually opt for the same thing, a savory dish called “Chicken with 20 Vegetables” with a rainbow of crisp vegetables and a hunk of chicken. My vegetarian friends usually order the same without chicken and add coconut milk to the base. Curry filled with colorful veggies. The service is friendly and welcoming, though it’s advisable to avoid peak lunch hours because it can be very crowded. 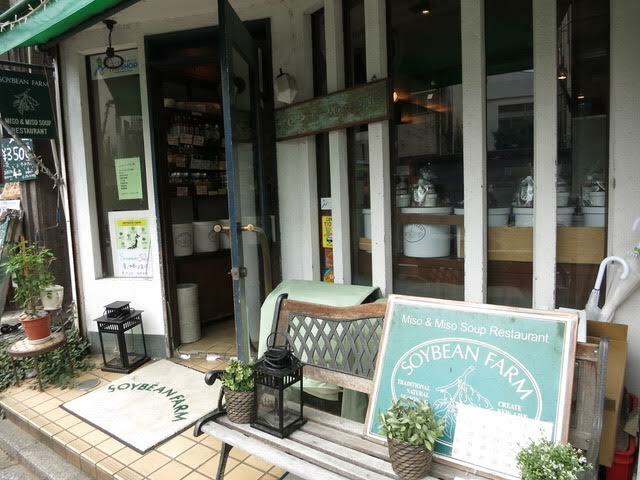 My next stop is often Soybean Farm, where Tsubaira-san, the proprietor, is usually in residence. Tsubaira is from a misoya (miso selling) family in Aichi Prefecture who dates back several generations. His family hoped he would sell miso, fermented soybean paste, as an adult and after years managing the miso businesses in several department stores, Tsubaira opened a series of shops that eventually became the small café and miso purveyor in Kichijoji. When he isn’t overseeing daily business, his daughter holds forth amongst the kegs of artisanal miso gathered from every corner of Japan. The front of the store sells miso in either small containers or by weight. A great gift or souvenir is the six-miso set with a selection of 100-gram containers with a choice of miso for Y1,500. Always make room for miso cheesecake at Soybean Farm! One of the most enjoyable aspects of a visit to Soybean Farm is the ability to taste any miso paste before you buy. 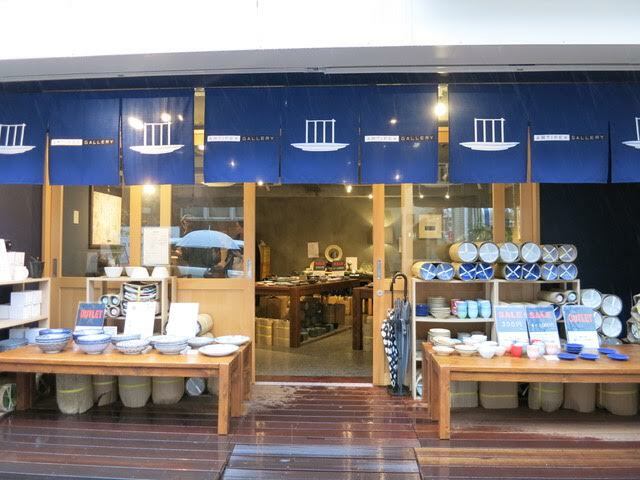 It can be sampled on a wooden stick, or Tsubaira-san will usher you to the café and ask the chef to prepare a bowl or two of miso soup for comparisons. The café serves miso-centric lunches and dinners priced from around Y1,000 to Y1,500, with a main dish, small salad, nori-wrapped rice, miso soup and coffee or tea. One of the stand-out dishes is a meat-stuffed cabbage roll. I always try to save room after my curry lunch to devour a slab of umami loaded miso cheesecake, along with coffee. 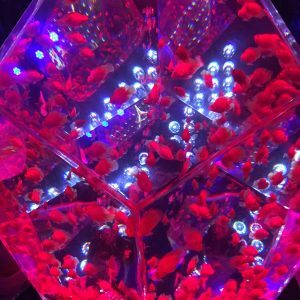 Kichijoji is a great place to practice unique retail therapy, as it can boast some of the most unusual selections in Tokyo. A favorite of mine is a small shop up a steep flight of stairs with the unlikely name of Promenade. The owner prefers to stock antique items, both Japanese and sometimes French. She calls them “things one does not need in order to live, but rather things that make life a little more fun.” I can always find something reasonably priced that I don’t need. My recent purchase was an eco bag from France. On my last visit to Kichijoji I came across a pop-up shop selling odds and ends of porcelain, called Artifex Studio pottery. Artifex Studio Gallery is located on a side street north of Kichijoji Station. 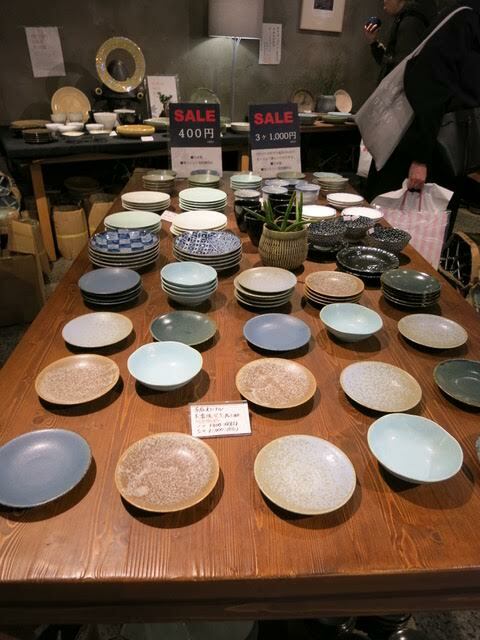 The sleek shape and subdued hues of the various dishes on sale seemed perfectly at home with the laid-back Kichijoji vibe, which must be why the proprietors chose to open there. The “outlet” prices were beyond reasonable and the selection was enormous. Most dishes are around Y500 for small plates and Y3,000 for bowls. While it calls itself a “pop-up” I hope Artifex becomes permanent. Judging by the numbers of people scooping up bargains I suspect it will. The Gallery is filled with treasures at really reasonable prices. Another great pleasure in Kichijoji is people-watching. Especially during cherry blossom season, but just about any time, it’s fun to wander to sprawling Inokashira Park and rent a rowboat, or just throw down a cloth or blanket to sit on and observe the denizens promenading or just lazing about. People in Kichijoji seem to have a special flare in how they dress. 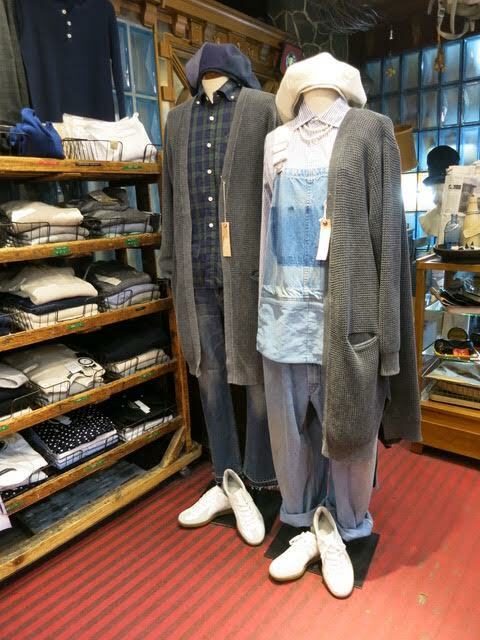 Brooklynite friends like to call it “hipster.” In Kichijoji there are many places to shop and get your cool on. 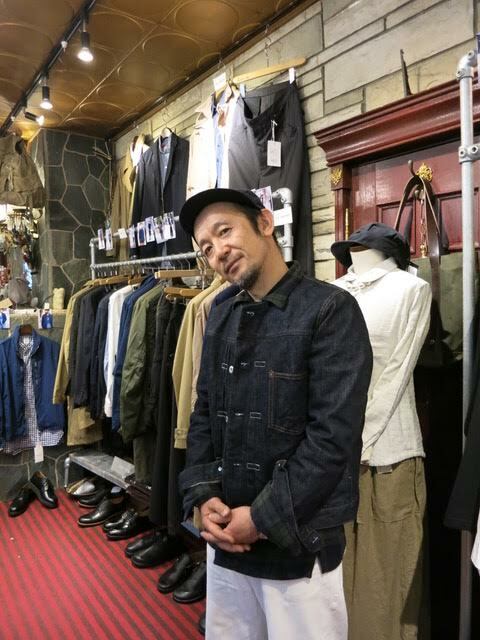 My favorite shop by far is Toulouse, run by the inimitable Tanabe-san, holding forth in the back of the shop looking like a model of what’s hip and fresh. Tanabe-san is always happy to help put together the perfect “look”. He says he opened the shop hoping neighbors would want to stop and browse. I frequently admire the Japanese “look” – which is hard to define but has its own style — but have trouble emulating it. Tanabe-san is always there to help with gentle suggestions on what looks good and what combinations work well. The collections at Toulouse – both for men and women — have it all, from pants and skirts, to shirts and jackets. There are mannequins scattered around the shop with suggested clothing combinations and “looks.” Most pieces are not the inevitable one-size-fits-all that can be found in so many Japanese clothing stores. Things here tend to be S-M-L-XL and often unisex. Mannequins are scattered around the store with helpful suggestions. Everything is carefully chosen to create a certain Kichijoji “boho” bohemian look. Accessories, backpacks and shoes not only complement all the clothing, they’re beautifully designed and have the same high quality we’ve come to expect from Japanese goods. My friend even found the perfect shoes to wear to her daughter’s elementary school commencement ceremony. Prices are on the upper side of moderate, with T-shirts at around Y5,000 and pants costing upwards of Y10,000. 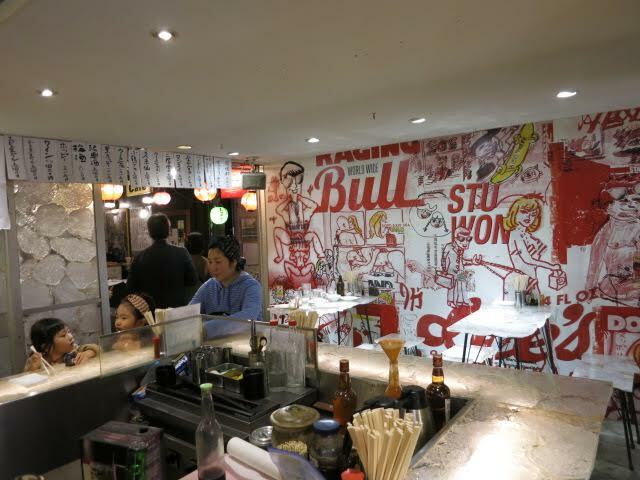 I’m frequently tempted to walk out of Toulouse wearing one or two of my new purchases as I head for a drink at what must be Kichijoji’s ground zero for foodies (possibly washed down with cold beer), with its cool vibe and relaxed atmosphere. Harmonica Alley is the area’s best known – even infamous — drinking district with roots that date back to the flea market that sprung up here after World War II. 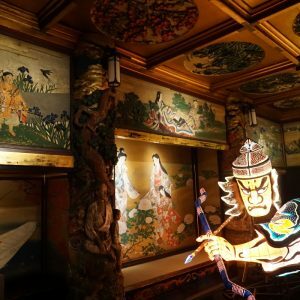 Now you’ll find a tangle of small passages with standing bars, small pubs, yakitori joints and sweet shops mixed in with traditional shops selling various goods from green tea to Tupperware. One of the most popular bars is Tetchan, a collaboration between architecture superstar Kengo Kuma (designer of the 2020 Olympic stadium in Tokyo) and painter Teruhiko Yumura. 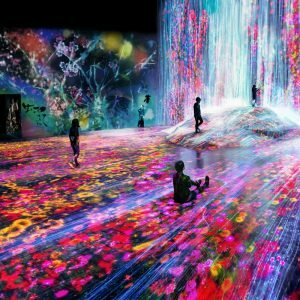 The entire space is a trippy fantasy constructed from recycled materials including LAN cables and acrylic byproducts. 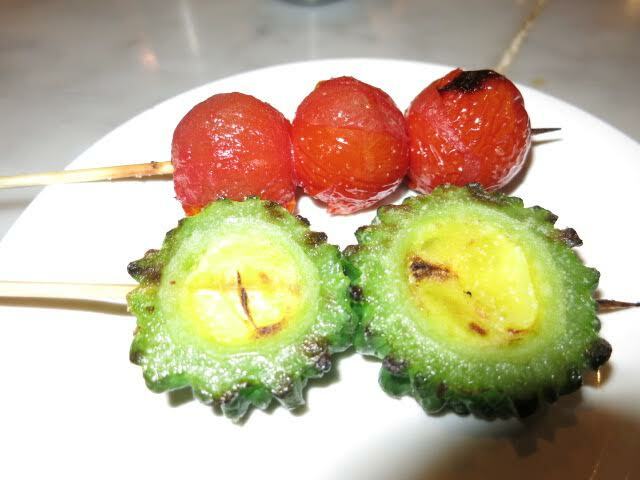 The food is hearty and varied, with many kinds of skewers and a great assortment of vegetables. Tetchan is often filled with families toward the late afternoon. Vegetables are grilled to perfection at Tetchan. Toward the end of the day, moms carrying young children meet up for a quick hello. Salary men who work in the area, or return by train from downtown, begin to pack the bar a bit later. Friends show up to linger at the small tables in the back of the bar, and nobody is rushed. Everyone has a cool sense of belonging. Just like Kichijoji itself.